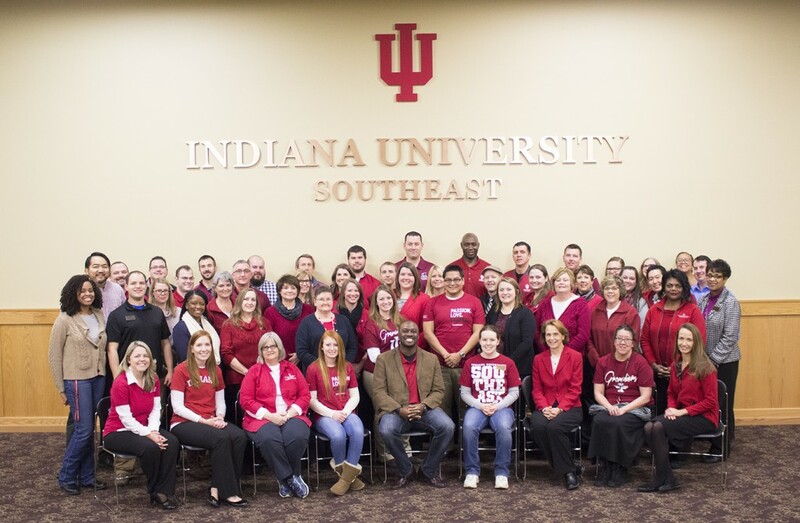 The IU Southeast Student Affairs staff, headed by Vice Chancellor Jason Meriwether, has been named one of the Most Promising Places to Work in Student Affairs for the second consecutive year. NEW ALBANY, Ind. – For the second consecutive year, the publication Diverse: Issues in Higher Education has named IU Southeast one of the Most Promising Places to Work in Student Affairs. IU Southeast and 18 other universities received this distinction for 2016. The universities were featured in the Feb. 25 issue of Diverse. At IU Southeast, Vice Chancellor Jason Meriwether oversees the Division of Enrollment Management and Student Affairs. Fifty-one full-time and 22 part-time staff members in various departments — including the Adult Student Center, the Career Development Center, Campus Life and others — work in this division. Diverse and the American College Personnel Association (ACPA) have conducted the Most Promising Places to Work in Student Affairs survey annually since 2011. The survey is administered by the Center for Higher Education Enterprise (CHEE) at The Ohio State University. For the first time, this year’s report included a list of “Promising Practices” that provide tangible ways other student affairs divisions and senior student affairs officers can use this year’s results to improve practices, CHEE director Terrell Strayhorn said. Intentional investment in the development of student affairs staff. CHEE is a research center that promotes the responsibilities and roles of public higher education. In addition to conducting research, CHEE analyzes policies and reaches out to universities to help improve higher education.